The last words I wrote here about Vsevolod Pudovkin were, I guess, harsh. Or at any rate, not very constructive. But, I think, fair. However, having seen his 1926 film MOTHER projected from a fairly spiffing 35mm print at Pordenone, I would have to admit that the guy could shoot and cut with pretty astonishing grace and dexterity and dynamism. Kubrick rated Pudovkin’s theoretical writing as being more accessible and practical than Eisenstein’s, which I don’t know if I agree with. P isn’t afraid to state simple things, but E’s On the Short Fiction Scenario is smart stuff without being in any way difficult to read. As it happens, we had just seen the 1920 version, directed by Aleksandr Razumnyi, which didn’t look like a gypsy puppet show but did suffer from a lack of translation for the intertitles until halfway through. I did doze off a bit during the early parts. The film was, however, nicely shot with convincing interiors and real street scenes. The snow, was nice, but I wondered if they’d planned for it. During a bit of “he went thataway” misdirection, one wondered why the pursuing soldiers didn’t look at the giveaway footprints and draw their own conclusions. 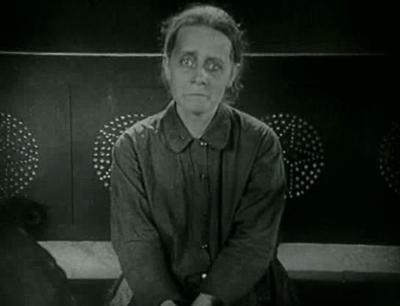 The day before, the season on Ukrainian film included THE NIGHT COACHMAN (NICHNYI VIZNYK, Heorhii Tasin, 1929), which has practically the same story as MOTHER, or anyhow the same dynamic — family vs revolution, which ultimately turn out to be not incompatible after all, since the oppressive state will kill you and your family anyway. Made later than the Pudovkin, it feels older, I guess because it was made in the Ukraine and not the Soviet Union, and they were still trying to catch up. But it has dramatic night-for-night scenes and the carriage rides occasion exciting camera moves and flashy montage. But part of the appeal of Pordenone is the way the programming makes interesting connections across decades and continents, and makes a genuine virtue of placing masterpieces next to curiosities. You can see films for practically 14 hours straight, with breaks for meals, and be guaranteed of a couple of revelations as well as some great “what were they thinking?” blunders of early filmmaking.